Knox owns half of the Circus Saran and acts as a clown there. He hides his circus life from his daughter and is very embarrassed when his daughter finds out his true profession. 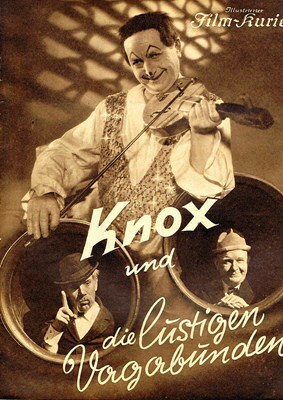 Hans Moser, who plays Knox, performs poorly, because the character he plays is simply not funny. Leo Slezak, who owns the other half of the circus, as well as Pat and Patachon perform better. The only really good thing about this film is its music, composed by Robert Stolz; especially the song "Ein bisschen Sing-Sang und gute Kameradschaft" , which can be heard throughout the movie.